You know that old saying, 'If the shoe fits...' Well, there is no more fitting story for that saying than the age old tale of Cinderella! For most of my adult life, I've been pining for a certain item of Cinderella's attire. No, no, not the glass slippers...the black flats she wears while in 'rags'! I have yet to find the perfect pair of dainty black slippers, despite my numerous attempts! Is this a weird thing to lust after? I mean, it's a just cartoon pair of shoes, right?! Who doesn't love the story of Cinderella? It's been made into animated movies, told in different ways (Ever After & Into the Woods, to name a couple), and now it's being made into a live action movie! To celebrate the release of this new movie, Disney and Morgan Taylor have partnered up to create a Cinderella nail polish collection, which is available in March! 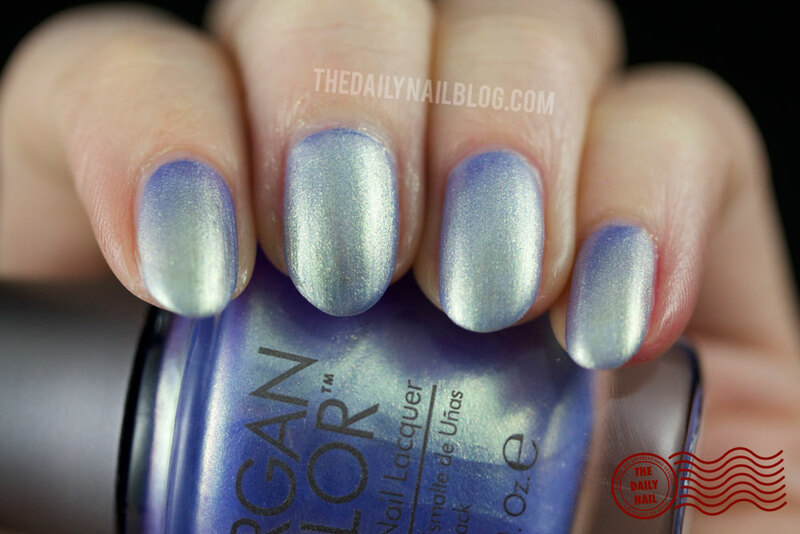 I have my swatches and review of the collection here for you today! 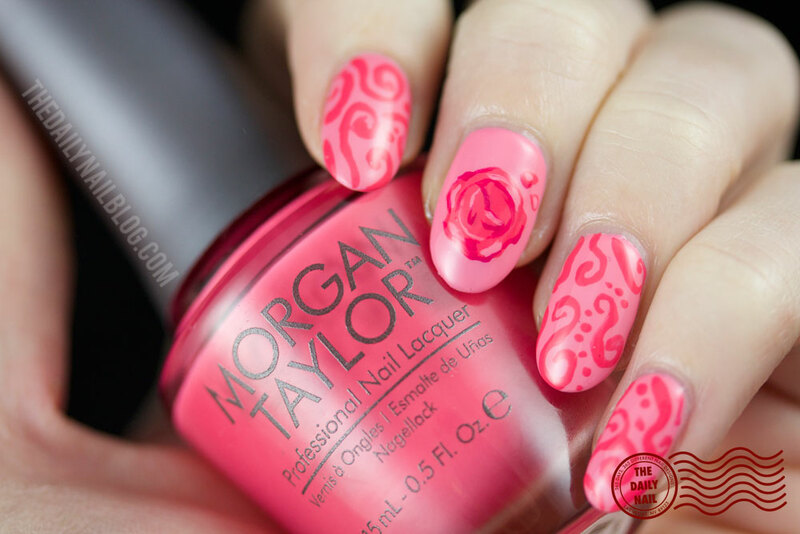 In the nail art above, I used Ella of a Girl and Watch Your Step, Sisters! 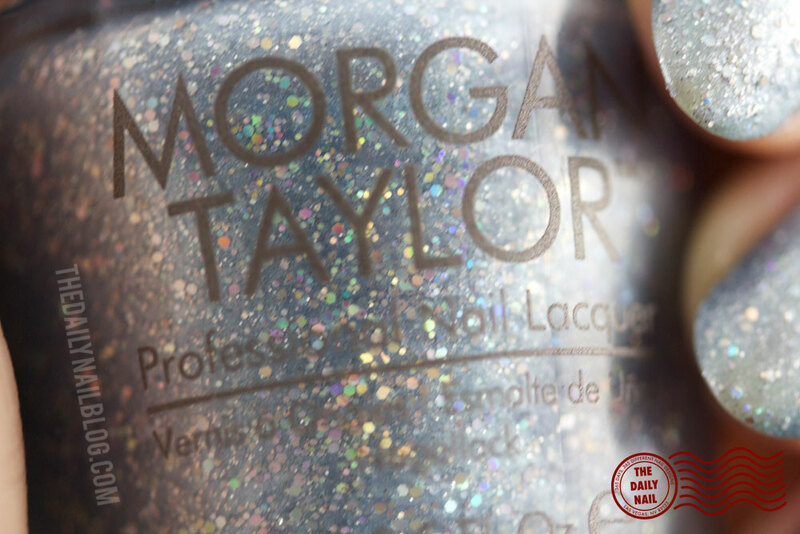 from this collection along with Morgan Taylor Prettier in Pink for the shading on the wax embossing with the glass slipper from the 'You're Invited' image. One of my favorites of this collection, I immediately put it on right after I took it out of the box! 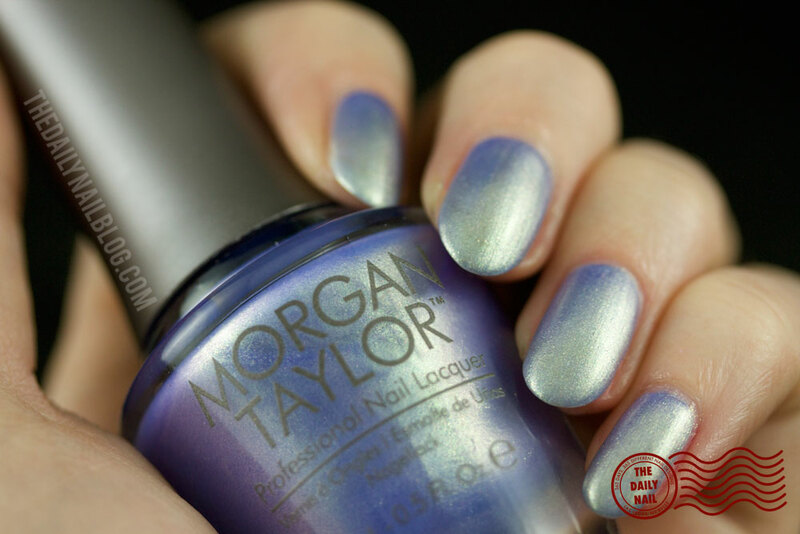 Depending how you look at it, it can be a deep periwinkle or a silvery lavender, but always with a golden shimmer. On occasion you can see a rosy glow to it as well, which you can see in the bottle shot above. Icy grey-blue with LOADS of glitter! As you can see from the bottle shot above, there is tons and tons of glitter in this polish ranging from super small to holographic hexagonal glitter. Because of this, without a topcoat, this is a somewhat textured polish, though not in the traditional 'textured' way. This polish is like they captured Cinderella's transformation and the magical sparkles from the fairy godmother's wand into a bottle! I definitely need to go back and re-watch the movie, because I was trying to figure out where this color fit in...then it dawned on me. Her dress! The one that Gus Gus and the other creatures helped make her! This and Watch Your Step, Sister! are definitely reminiscent of the two colors of pink in her dress! This polish surprised me, I didn't notice the shimmer in the bottle, but when I got it on the nail it was very obvious! I couldn't seem to capture it well in the photos though, sadly. It's definitely subtle, but it adds a little something that brought this from a 'normal' polish to something much more! Definitely another color that is reminiscent of the 'critter' dress! I actually really liked this one, even though it's not terribly extraordinary colorwise It applied really well, had great pigmentation, and I liked it against my skin tone. This was my other favorite of the collection! 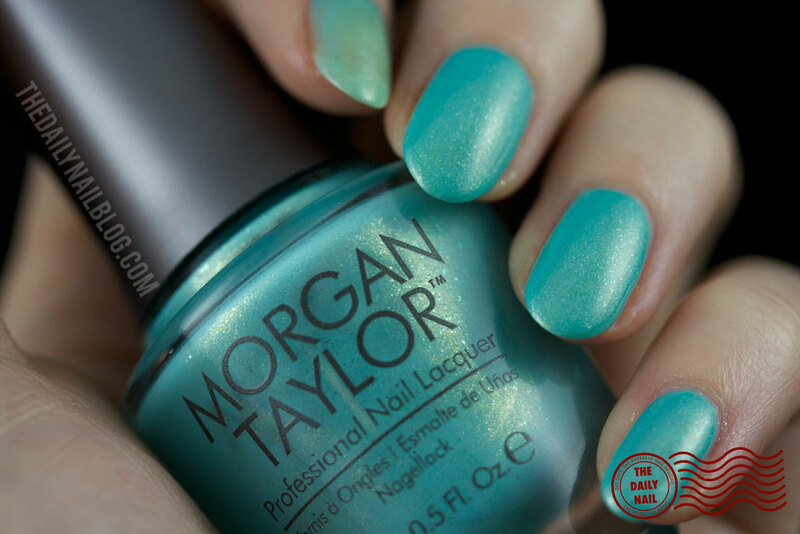 It's such a bright, springy color, not to mention, it has small flakes and shimmer in it that give a bit of a golden sheen! SO pretty and applied really well! So what do you think... did any of these fit you like a glass slipper? I definitely have my favorites, but what are yours? Tell me in the comments below! 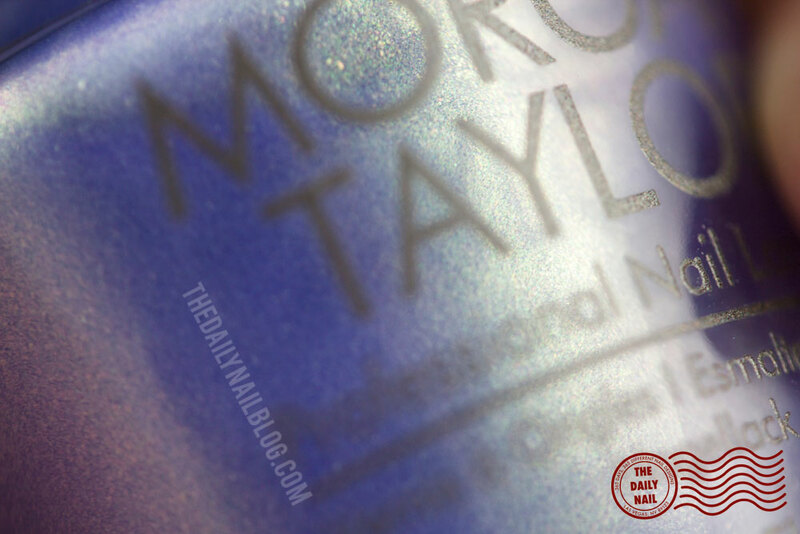 Morgan Taylor products are available at loxabeauty.com for $8.50 per bottle. So many interesting shades!! Definitely not a boring collection! It's funny you bring up Cinderella's black slippers because I have a pair of black ballet flats that when I wear with a certain skirt, make me feel I'm Cinderella. So I totally get you wanting the black ones and not the glass slippers! These are all really pretty colors-- I especially love Best Ball Gown Ever and Party at the Palace.